A project supported by the Experimental Humanities Immersive Media Art Laboratory (IMAL) Project Team: Artist: Hugh Hopkins ’17 (Photography) Assistance from: Yashar Hasehmi ’18 (Studio Arts) Sadie Schiffman-Eller ’18 (Film and Electronic Arts) Will Scarfone ’18 (Film and Electronic Arts) Supervision: Ben Coonley, Assistant Professor, Film and Electronic Arts “Look Inside” (2017) is an artwork created Hugh Hopkins ‘17, built with the support of the Experimental Humanities Immersive Media Art Laboratory (IMAL). The work is a displayed on a large scale binocular peep-hole viewer for a single viewer. This device allows the left and right eyes of the viewer to watch separate CRT televisions at the same time. These televisions display images recorded with digital cameras that have been fragmented and collaged to create stereoscopic effects and intentional “retinal rivalries,” in which the left and the right eye see radically different images. 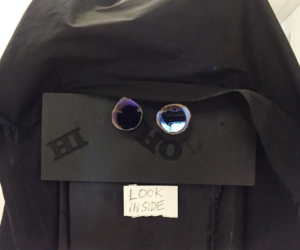 The model for the peep-hole viewer was designed using Blender 3D software, and constructed using wooden 2 x 4 planks, fabric, and cardboard elements. 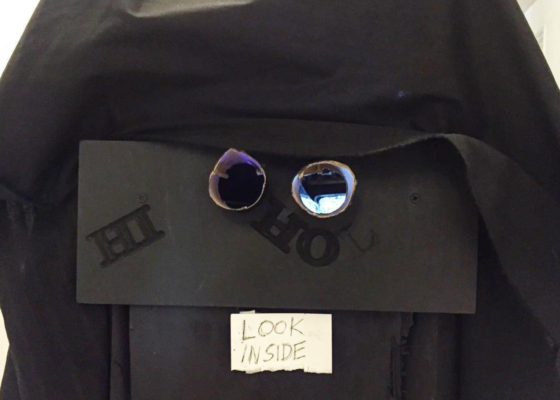 “Look Inside” (2017) is an artwork created Hugh Hopkins ‘17, built with the support of the Experimental Humanities Immersive Media Art Laboratory (IMAL). The work is a displayed on a large scale binocular peep-hole viewer for a single viewer. This device allows the left and right eyes of the viewer to watch separate CRT televisions at the same time. These televisions display images recorded with digital cameras that have been fragmented and collaged to create stereoscopic effects and intentional “retinal rivalries,” in which the left and the right eye see radically different images. 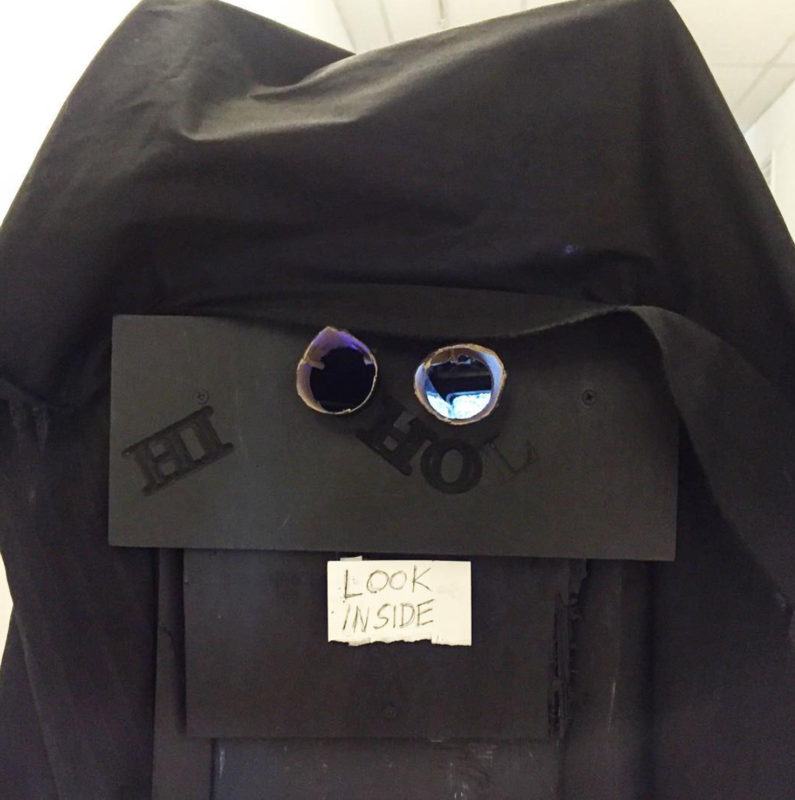 The model for the peep-hole viewer was designed using Blender 3D software, and constructed using wooden 2 x 4 planks, fabric, and cardboard elements.